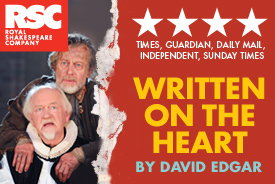 In perhaps one of the more surprising transfer moves of recent months, the RSC have brought last year’s production of David Edgar’s new play Written on the Heart into the West End to take up residency in the Duchess Theatre. 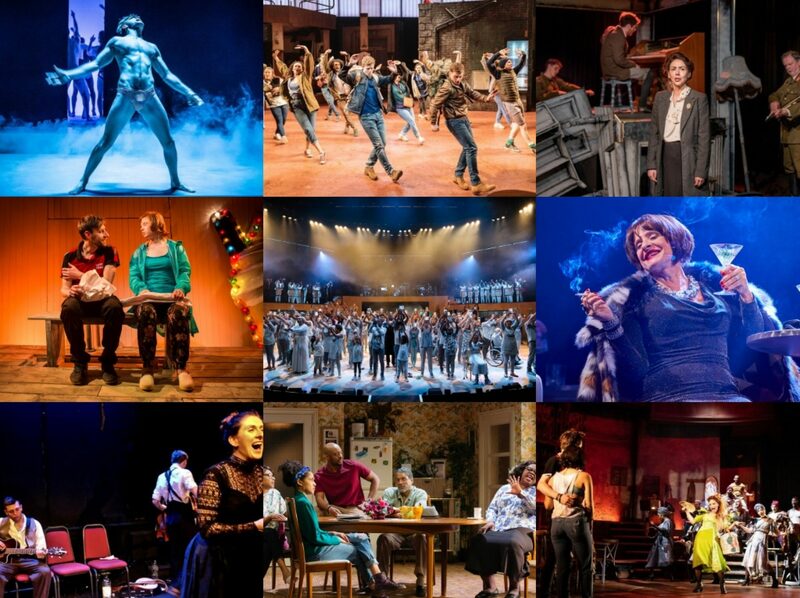 I say surprising because it is a good while since the show ran in Stratford and though it received relatively good notices, they hardly set the world alight. But to town it has come and to be honest with you although it is nice to see a wealth of plays occupying West End houses, I can’t see it lasting very long in the cut-throat theatrical ecology. Edgar’s play is an almightily verbose work about the creation of the King James Bible. We start with James I’s decision to commission an authorised English Bible nearing its end in 1610 in the midst of endless committees debating the translation of every word. We then move around in time to see William Tynedale reaping the grim consequences of creating his own version in the reign of Henry VIII and also dip into the reign of Elizabeth I during the decatholicisation of many churches, where a young clergyman sees Tyndale’s work for the first time. As we then return to 1610, we see that that young man, Lancelot Andrewes, is now spearheading the Authorised version and recognise the debt that he owes to Tyndale. But this is to make it sound somewhat more interesting than the actuality. The play consists of a whole lotta talking, by innumerable indistinguishable clergymen, and though Gregory Doran does as much as he can to disguise this fact, there’s a limit to even his powers and so the 2 hours 30 minutes felt like an eternity to me. Oliver Ford Davies’ mentally tortured Bishop of Ely is beautifully spoken and his mellifluous voice made his Bible readings something of a treat – Jamie Ballard does well as his younger self too; and Stephen Boxer’s physically tortured Tyndale, whose admirable dedication to liberating the text of the Bible for all, is movingly portrayed. But too often, it is just dry debate on the stage. Part of the problem for me was that a similar story was told in Howard Brenton’s Anne Boleyn which proved to be a much more engaging affair but also made a compelling, dramatic argument about the role of religion, and of organised religion within that, in the lives of all levels of society. Written on the Heart skirts around this too but focuses so much more on the power games between clerics in what to them is an exercise in semantics – a term that could be used to describe this play too. PS: I can’t help but be amused by a giant quote on the hoarding that says ‘the RSC at its best’ then accompanied by just the 4 stars.